Medicinal cannabis is routinely recommended for a wide variety of conditions. For example, in California, patients can qualify for cannabis medicine if they have AIDS, anorexia, arthritis, cachexia, cancer, chronic pain, glaucoma, migraines, muscle spasms, seizures, nausea, or other chronic symptoms. This begs the question – how can cannabis be recommended for so many different conditions? The answer is the endocannabinoid system. 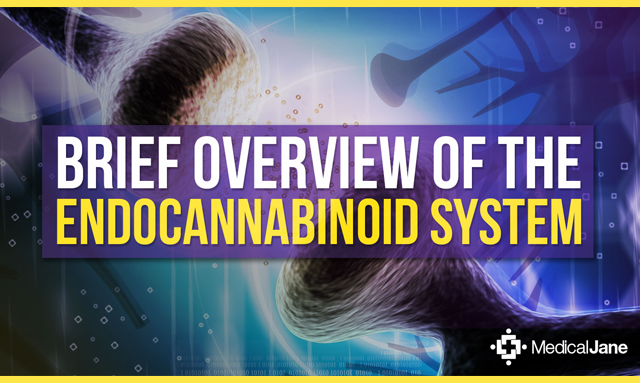 Before discussing the functions of the endocannabinoid system (ECS), it is important to understand its components. The ECS is comprised of cannabinoid receptors, endogenous ligands (binding molecules) for those receptors, and enzymes that synthesize and degrade the ligands. The most well known cannabinoid receptors are CB1 and CB2. Studies in the early 1990s provided initial evidence of the existence and purpose of CB1 and CB2 receptors. Both types of cannabinoid receptors are found throughout the entire body, but are distributed differently. CB1 receptors are concentrated primarily in the brain, while CB2 receptors are mainly found in the immune system. However, CB1 receptors are also distributed in a variety of peripheral areas like adipose (fat) tissue, and CB2 receptors are expressed to some degree in the brain. The primary endocannabinoids are anandamide and 2-arachidonoyl glycerol (2-AG). Anandamide was discovered in 1992 and determined to be the endogenous ligand for the CB1 receptor. Its chemical structure is very similar to tetrahydrocannabinol. 2-AG was discovered in 1995, and unlike anandamide has a high affinity for activating both CB1 and CB2 receptors. Anandamide and 2-AG are synthesized from arachidonic acid, an Omega-6 fatty acid, although the specific pathways and synthesizing enzymes vary. Anandamide is degraded by fatty acid amide hydrolase (FAAH), and 2-AG by monoacylglyceride lipase. Both endocannabinoids are manufactured “on demand” [as needed], using precursor molecules from cell membranes. 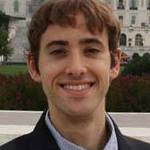 The overall role of the ECS is described best by Dr. Dustin Sulak, the Director of Integr8 Health in Maine. His firm has treated thousands of patients with medicinal cannabis, and Dr. Sulak is one of the most sought-after speakers for medicinal cannabis conferences. 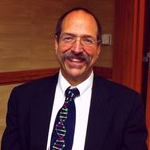 As Dr. Sulak discussed in an endocannabinoid introductory article, the primary function of endocannabinoid activity is to maintain a stable internal environment despite changes in the external environment. This stability is known as homeostasis, which endocannabinoids promote at the most basic levels. These endocannabinoids regulate homeostasis through a wide variety of mechanisms, including facilitation of intercellular communication between different cell types. “At the site of an injury, for example, cannabinoids can be found decreasing the release of activators and sensitizers from the injured tissue, stabilizing the nerve cell to prevent excessive firing, and calming nearby immune cells to prevent release of pro-inflammatory substances. Three different mechanisms of action on three different cell types for a single purpose: minimize the pain and damage caused by the injury,” said Dr. Sulak. When cells communicate, neurotransmitters normally flow from presynaptic neurons to postsynaptic neurons. Endocannabinoids are unique, being able to travel in the opposite direction and deliver feedback to the presynaptic cell. This process is a fundamental mechanism by which endocannabinoids maintain homeostasis. For example, if a neuron is firing messages too quickly, then endocannabinoids (usually 2-AG) instruct it to slow down by traveling upstream and activating presynaptic CB1 receptors. Evidence suggests the earliest components of the ECS evolved 600 million years ago in sea squirts. Furthermore, diseases often emerge when there is a deficiency or dysfunction of the ECS. These facts alone demonstrate the importance of proper ECS function to the healthy existence of higher-level organisms.